This is a promotional video for Meeting and Incentive Groups, but some nice scenery that is for sure. DALLAS January 27 2014- Southwest Airlines (NYSE: LUV) today delivered Customers a trio of Caribbean beach destinations just in time for summer travel planning. The largest carrier of domestic passengers in the U.S. began selling seats on the first-ever scheduled international flights flown by Southwest Airlines. "Beginning July 1, 2014, Bags Fly Free® beyond U.S. borders to Aruba, The Bahamas, and Jamaica," announced Gary Kelly, Southwest Airlines Chairman, President & CEO, to Employees and media assembled for a news conference at the carrier's headquarters. "As our Customers seamlessly click through southwest.com to make these historic bookings today, our People celebrate the final lap in the journey to make possible our international future." Tulip Restaurant at MVC Eagle Beach is now Tulip Caribbean Brasserie and has fresh paint. new furniture and a new menu. Click on the images above for larger versions. The ninth annual Donkey Walk of the Donkey Sanctuary was a great success. The number of participants had doubled and hundreds of people walked the 6.6 km route last Saturday afternoon. One participant caught the eye: Randy Gomez ran the entire length of the `caminata’ behind the stroller with his 6-month old son Atiba in it. Atiba clearly loved the action, the atmosphere and the beauty of the surroundings – he was all smiles. The other participants enjoyed themselves as well: the weather was perfect and the setting sun made the countryside extra gorgeous. Donkey Thistle was supposed to walk along, but unfortunately he had to cancel at the last moment due to a number of roaming dogs. He enjoyed himself anyway and he doubled as the welcoming committee at the finish, where watermelon and oranges from Super Food supermarket revived everyone. PALM BEACH, ARUBA January 9th, 2014- Boardwalk Small Hotel recently expanded their guest services by offering a full breakfast menu. It is the first time since twin sisters Stephanie and Kimberly Rooijakkers took over Boardwalk in 2011 that this small hotel offers a breakfast service. The breakfast menu also offers locally grown fruits, as Boardwalk strives to promote Aruban products and local suppliers. The brand new breakfast menu includes ‘classics’ such as your choice of tea or coffee, fresh juice, breads, bacon, cheese, tropical fruits, yogurts and a boiled egg. In addition the Champagne Breakfast includes two glasses of …Champagne for a luxurious start of the day, while the Vitality Breakfast provides for a healthy start, including a fresh fruit smoothie and yogurt with granola and flaxseeds. The Local Breakfast features a favorite local morning snack, arepa, which comes with cheese or scrambled eggs. Breakfast can be ordered in advance and is served between 8:30 AM and 11:30 AM at the guests’ private casita. The annual Walkathon, a brisk walk through Aruba’s wonderful countryside, has become a tradition in the month of January. On Saturday, January 18, the event will take place for the ninth consecutive year. Registration starts at 4 pm at the Ayo Rock Formation; the walk starts at 5 pm. 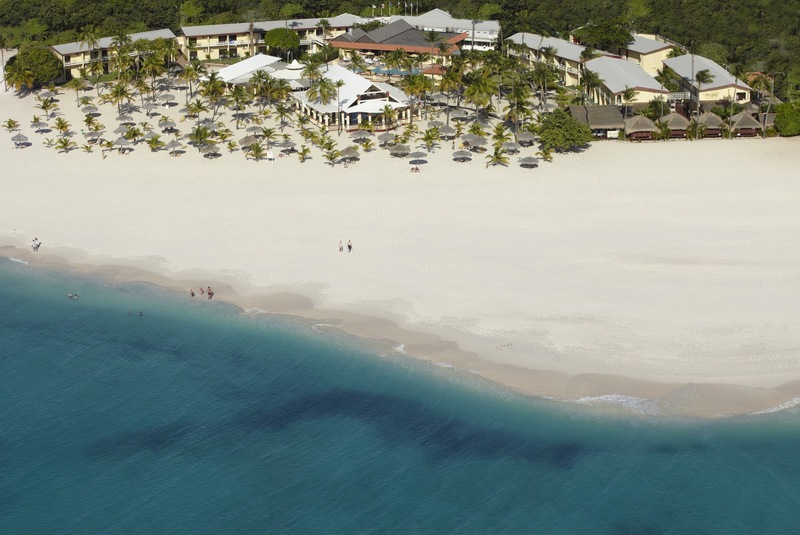 Located at the most beautiful white beach and turquoise blue sea in Aruba, the Manchebo Beach Resort & Spa has been a leader in sustainability and responsible tourism for years. This luxury boutique resort was the first Green Globe member to earn prestigious Gold Status in January 2008, and recently earned re-certification. What to do in Aruba? First off, if you are a couple and not a family see Romance with Your Soulmate. For a first time visitor, depending on the season, renting a car for a week is relatively inexpensive and you could explore the island and shop at your own pace. If you plan on spending most of your time on the beach just relaxing, then renting a vehicle for week when it is mainly going to sit in the parking lot of your resort, may be a waste of money. The big advantage of staying along Palm Beach is the fact that there are so many activities within walking distance. We would like to introduce Bunny to you, one of the donkeys that has found a home at the Aruba Donkey Sanctuary. Together with her son Maestro she was roaming the island and that is a hazardous occupation. Lots of traffic and wild dogs make life very difficult for a roaming donkey. It took quite a few tries, but finally our volunteers succeeded in capturing the two donkeys by luring them into a garden at Rooi Master. Bunny was named Bunny because of the fact that she was caught around Easter; Maestro refers to Master, as in Rooi Master. But Bunny had a treat for us: two weeks after being caught she delivered a baby boy, whom we baptized Amadeus. So here we are proudly presenting Bunny, Maestro and Amadeus, a great little donkey family. Thinking About An All Inclusive Package in Aruba? For high season, the Radisson Aruba Resort, Casino & Spa has just come out with a new 2014 Bed+Breakfast+Lunch Winter Escape starting at $645 a night, double occupancy for a guest room accommodation. I compared prices of the above for dates in April with the Amsterdam Manor Beach Resorts all inclusive package which includes not only breakfast and lunch, but dinner and all beverages, including unlimited house-brand and premium beverages and cocktails. We just completed an all inclusive stay at the Amsterdam Manor (trip report to follow) and the Amsterdam Manor's all inclusive left you wanting for nothing. ORANJESTAD, ARUBA– (December 19, 2013) – With the Divi & Tamarijn Aruba All Inclusives’ Family Package, a wide variety of exciting and fun activities throughout the entire vacation await family members of all ages. Plus, the Family Package offers value-added savings, as up to two children ages 12 and under can stay, play and eat FREE all inclusive when sharing a room with two paying adults. There’s no better place for parents to relax and enjoy quality time with their kids, whether dining as a family at one of the 9 restaurants, enjoying nightly entertainment, soaking up the sun on the beach or discovering adventure with activities such as beach volleyball, sunfish sailing, biking or even scaling the 30-foot oceanfront rock climbing wall. In addition, guests who are staying at either the Divi Aruba or the Tamarijn Aruba have full access to all the facilities, services and amenities of both properties, so they can enjoy the perks of two resorts for the price of just one. Don't forget to slather on plenty of sunscreen, it is a picture perfect day!